Lee van der Voo is an award-winning investigative and environmental journalist. Her work has appeared in Reuters, The New York Times, High Country News, The Atlantic.com, Slate, The Guardian and others. Lee’s reporting has been supported by significant awards and fellowships, including the Alicia Patterson Foundation Fellowship, an Investigative Reporters and Editors Award, and the Lizzie Grossman Grant for Environmental Health Reporting. 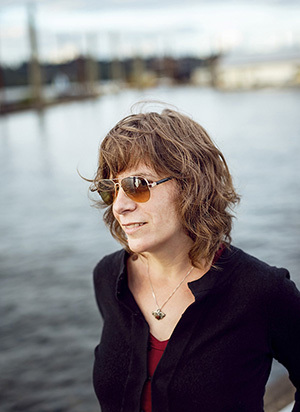 Her 2016 book The Fish Market, which chronicles the gentrification of the sea in the name of sustainable seafood, won an Oregon Book Award for General Nonfiction. Lee is deeply involved in nonprofit journalism, formerly working as the Managing Director of the nonprofit journalism studio InvestigateWest.